2-10 Home Buyers Warranty is a home warranty company with headquarters in Aurora, Colorado. 2-10 HBW offers consumer home warranties covering appliances and systems and structural warranties on the home itself to builders. The company primarily serves those involved in buying or selling a home with warranty plans designed to help eliminate unexpected expenses that sometimes come up after closing on the property. A 2-10 home warranty service plan covers the repair or replacement of your home's major systems and appliances. Covered systems include AC units, furnaces, plumbing, water heater and electrical. You can add on additional coverage options to the original plan. 2-10 Home Buyers Warranty provides home warranty policies for home systems and major appliances and new home structural warranties. Most of 2-10 HBW’s policies allow you to choose the repair contractor, and the company works with a network of over 6,000 independent contractors. 2-10 HBW covers over 5.5 million homes, offering sensible options for those who have determined they need a home warranty. 2-10 Home Buyers Warranty offers four home warranty plans: one for contractors, two for homeowners, and one plan benefiting home sellers while their property is on the market. Each home warranty covers repair costs for heating, air conditioning, appliances, plumbing and electrical systems and components. 2-10 HBW warranty plans come with a guarantee and buy-down option to reduce service call fees. All home warranties have a per-visit fee for the service technician, but you only pay one service fee for a repeat repair with 2-10 HBW’s Even If Guarantee. Most home warranties have a 30-day waiting period at the start of the contract with no coverage at that time. It’s a challenge to find the 2-10 HBW plan and contract documentation, but we managed to find their brochure, and there appears to be no waiting period. Seller’s coverage begins upon enrollment and buyer’s coverage begins at closing. Coverage for lease-option homes starts when payment is received. 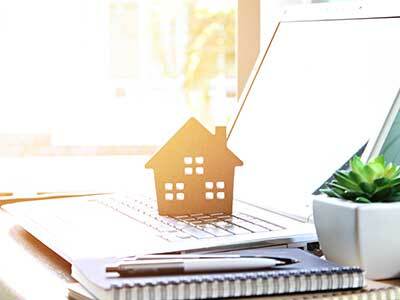 As with all home warranties or service agreements, homeowners should understand that home warranties are not insurance and carefully read contracts to know what repairs the warranty pays for, excludes, and caps on covered repair costs. 2-10 HBW Structural plans are for new construction or remodeling. Builders and remodelers buy structural warranties to include with homes or contract jobs as a selling point. Consumers interested in a structural warranty must have their builder contact 2-10 HBW to arrange coverage. Structural Plans offer coverage at three levels: one, two and ten years. The Supreme Plan 2-10 Home Buyers Warranty sells adds a significant number of repairs to the Standard home warranty, and the annual fee isn’t much higher. Covered repairs include garage doors, washers and dryers, refrigerant recovery, self-cleaning ovens, assorted small repairs like handle and knob replacements, and much more. You also get coverage for fixing code violations and improper installation or repairs with the Supreme Plan. 2-10 HBW’s Seller Plan coverage isn’t automatic when you list your home. Notify the company to start the warranty and then to transfer to the seller. Standard Budgeting for common repairs. Covers up to two HVAC systems, appliances with color match, plumbing and electrical. Supreme Older homes and appliances. Adds more detailed coverage to Standard, including previous repair code violations. Seller Home sellers and real estate agents. Adds value to sell home faster and financial stability for seller while home is marketed. Structural Home builders and contractors. Reduces builder liability and covers customer for up to 10 years. 2-10 HBW’s Standard Plan runs $440 per year, and the Supreme warranty plan provides much more coverage at $540 annually. Both plans have a $100 service fee, and cap repair costs. You can “buy down” the service fee cost by paying a one-time fee of $50 which reduces the service fee to $75 per visit. The optional add-ons range from $40 per year to cover an additional refrigerator or freezer to $345 for a saltwater pool or spa ($160 for freshwater). The Seller Plan is the Standard home warranty with a delayed payment at closing, and we found no documented prices for the Structural plan. Optional add-ons for the 2-10 HBW Standard and Supreme home warranties add specific coverage for one annual fee. A money-saving option that stands out is the Preseason HVAC Tuneup for $40. This includes annual heating and air conditioning inspections. If you have more than one of the same appliance, you can have both covered under your 2-10 Home Buyers Warranty plan by adding the additional units as an optional add-on. There are also add-ons covering repairs to septic systems, well pumps and more. If you request service and 2-10 HBW dispatches a technician only to find the item isn’t covered, you can request a service fee refund. You only pay a service fee once for repairs on the same issue if the initial fix did not work. Each 2-10 Home Buyers Warranty offers a 30-day money back guarantee, although your cancellation is subject to a $25 processing fee. Online consumer reviews for 2-10 Home Buyers Warranty are mixed. The company maintains accreditation and an “A” rating with the Better Business Bureau. Overall, many BBB reviews revolve around not understanding the service contract coverage or problems with contractors. 2-10 Home Buyers Warranty has a good record with the BBB for responding to and resolving complaints quickly. We found mixed reviews on other sites such as HomeWarrantyReviews and ConsumerAffairs. Positive reviews usually note satisfactory service from both contractors and 2-10 Home Buyers Warranty. Most of the complaints center around wanting immediate dispatch of service, preferring another contractor or a lack of local contractors. 2-10 HBW service plans allowed out-of-network service in most of these cases, so some low reviews are from customers reacting before they had all the information. 2-10 Home Buyers Warranty appeared committed to addressing the concerns of the reviewers. Can I choose the contractor who will make repairs with a 2-10 Home Buyers Warranty plan? Some 2-10 Home Buyers Warranty home service agreements come with the option to choose the repair contractor. However, if the repair technician is not in the 2-10 HBW contractor network, you need to ensure the contractor’s company is willing to work within the parameters of your home warranty. The contractor will need to call 2-10 HBW to get the specifics, and a 2-10 HBW customer service representative can help you determine if choosing a contractor yourself is in your best interest. Does 2-10 Home Buyers Warranty offer emergency service repairs? 2-10 Home Buyers Warranty expedites emergency service with a goal (but not guarantee) of having a technician at your door within 24 hours. Emergencies include loss of utilities like heat or water, threat to life or health of occupants, or when further damage will occur without attending to the issue quickly. What are the caps on service costs with a 2-10 Home Buyers Warranty home warranty? All home warranty or service agreement plans have coverage caps which vary by system. Caps are outlined in service agreement contracts from 2-10 Home Buyers Warranty so you can learn the amounts before you sign up. For example, a well pump has a $500 limit and water softeners a $1,000 limit for repair costs. Is a home inspection required to purchase a 2-10 Home Buyers Warranty service agreement? No. 2-10 Home Buyers Warranty does not require an inspection. What isn’t covered by a 2-10 Home Buyers Warranty service agreement? Normal wear and tear, intentional damage, items covered by homeowners insurance and manufacturer defects are not included in a 2-10 HBW home warranty. There is no coverage for repairs needed due to lack of proper maintenance. Annual estimates for property maintenance and repair costs amount to up to one percent of the property’s value. Add that expense to closing costs and the financial strain can especially be a problem for new homeowners. By offering plans tailored for home builders, sellers and buyers, 2-10 Home Buyers Warranty removes much of the concern associated with buying, building or selling a home. Please do not waste your money with this company. Furnace went out when it was very cold. The one contractor in the state they use could not come for 2 weeks. They told me to use my own contractor and I had it fixed in one day. They then sent me an email 6 days later to tell me that whoever I use would have to contact them in advance to get the repairs authorized. This company is a scam. RUN AWAY!!! DO NOT PURCHASE A WARRANTY FROM 2-10. CHOOSE AMERICAN HOME SHIELD. NEARLY 5 STAR REVIEWS FOR THEM, 2-10 IS RATED AT 2 STARS. I was told something could be repaired, they hired a plumber to come out. The plumber came out, cut a hole in the sheetrock of my home, and was unable to repair. The hole was not repaired, I was forced to pay $100 for the service fee, and 2-10 later told me that this was not covered under my policy and that there is no way they can repair this without supreme coverage. TERRIBLE REPS, TERRIBLE MANAGERS, TERRIBLE CUSTOMER SERVICE ALL AROUND. They want nothing but your money.